If vampyres were real and you would get Marked. Would you choose the Change and leaving everything you knew behind over death? This happens to Zoey Redbird in this twelve books long tale of the House of Night Series by P.C. Cast and Kristin Cast. The books follow 16-year-old Zoey Redbird as she is “Marked” by a vampyre tracker and begins to undergo the “Change” into an actual vampyre. She has to leave her family in Broken Arrow, Oklahoma, and move into the House of Night, a boarding school for other fledgling vampyres like her. It’s tough to begin a new life, away from her parents and friends. It gets even harder for Zoey to fit in when she finds she is no average fledgling. She has been Marked as special by the vampyre Goddess, Nyx. As Zoey tries to make new friends and maybe find a hot boyfriend (or two), she comes up against all kinds of evil. Things at the House of Night are not always what they seem. Can Zoey find the courage deep within herself to find the truth and embrace her destiny? The House of Night Series by P.C. Cast and her daughter Kristin Cast, is one of those series that is too long for their own good. The series is twelve novels long and has several novellas, graphic novels and other related books. Overall I like the series, each time I finish a book, I want to start the next one. Nothing wrong with that. I feel that is how every book should be written. But I think the allure in this series is that each novel never feels finished, because you can really feel the authors work towards the end and not have every novel be a separate story in this universe and have an overall story – like Harry Potter has, as an example. Marked is the first installment of the series and the first time I read it, I really enjoyed it. It was on of the first vampire stories I read and this time not a book about some girl falling in love with a vampire. The character development was okay and there were a few big action scenes. The second time around I still liked it, but not as much as before. The character development seemed shallow and Aphrodite and Damien were even more shallow. It felt like a bummer and not a very good introduction of a – maybe – great series. But I moved on to Betrayed, the second novel, even though my feelings about the first one were so mixed. This one moved me a bit when Zoey’s best friend Stevie Rae – and my favorite character – died because her body rejected the Change. On a different note you get some insight in Aphrodite, which changed my opinion of her. So this novel was a better compared to Marked and made me want to read on with this series. 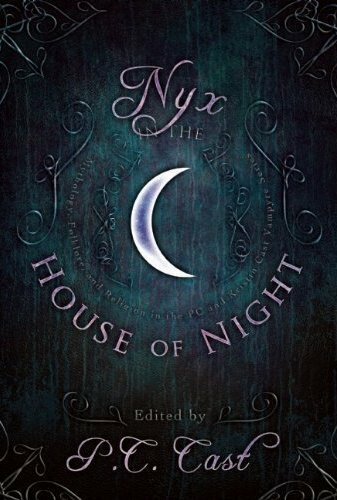 The third installment of the House of Night series is Chosen. In this novel the plot thickens, things are not what they seemed to be in the first two novels and this kept my interest in this series high. The character development goes even deeper in this book and this really got me hooked. Also the return of my favorite character helped with that. With renewed hope I started on the fourth installment, Untamed. But I had to drag myself through this one. It felt shallow and all the things I liked about the last one were left on the bench. The characters became shallow again and too much was happening. This novel also set up a lot for the following three novels, so maybe that is why. But that does not mean I have to like it. Hunted is the fifth installment of the series. This book still felt very shallow, with almost no character development. And a lot of added drama for no good reason. I really felt like giving up at this point and never finishing this series. And I really hate not finishing something I started on. In the sixth novel, Tempted, Zoey has to face off against her past self. She has to grow to get to a point where she can face off against Kalona. This book was more interesting then the last two. I was happy about that. The characters are developing a lot more during this book and I really felt like this series could still become something great. But by the end of the book I felt ripped off, because the authors sort of, kill off Zoey, which for me made it impossible to see where the books were going and how they would get themselves out of this mess. Because the end of the book really gave me the feel of a big mess. I waited a bit before I started reading Burned, the seventh novel in the series. It did not help much. I was bored and had to struggle through the book. Here the multiple POVs were helping to understand what was going on. Because even though not much happened the book is more then 300 pages long. This – to me – really is the worst novel of them all. Because of the disaster I found the last book was, I waited a few weeks before reading Awakened – the eighth book. I remember there was a lot of hype around this book. This book was quite refreshing. Stevie-Rae finally reunites with her mother and there were a lot of developments in the characters. I liked the book and did not want to put it away. I really struggle with the books, the ninth book, Destined, really annoyed the crap out of me. This book was happy, but really makes me feel like I am in a roller coaster which I really don’t like. This one is way too rough and up and down. The happy parts really make me want to read this book/series, but then the rough parts kick in and I really start to hate I invest so much time into these books. The tenth book in the House of Night series, Hidden introduced even more characters POVs. I really don’t like it when that happens. Also the whole story seems to go from bad to worse. Why would you take away someones mother and then threaten the grandmother too? For me this made the series go down the drain, even further then anything else already pushed it. I really felt sad to give up at this point in the series and so I read on. I liked Revealed, the eleventh book in the series, much better. So this made me happy I pushed on with the series. Only one book left to read and this book was rich and deep again. It makes you questions decisions the characters made in earlier books and what you thought about the them. There is only the issue of Zoey that did not get resolved for me. I was curious to read the last book, so maybe the issue would be solved. The last book, Redeemed, starts pretty strong, but overall the quality slips away again and it becomes as shallow as most of the series. The books are a bit of a struggle for me to get through, but overall they are a nice read. Sometimes a bit slow paced, but a lot happens in each book. Maybe if the authors had left some things out it would still have been a good series, just with less books. Because I feel not everything needed to be in these novels. The switching POVs – from the 6th novel on – added to that. Also the going back and forth between shallow stories and nice and deep stories really made me tired of this series, so it took me good while to get through all twelve of them. I loved Dragon’s Oath and Lenobia’s Vow. They are rich and really help you understand the character. I wish all the books could have been this way. In comparison to the other books, the novellas were a bit on the thicker side, but overall I did not have any problems with the size. They went into nice details about the character and really told the story without any interruption or distraction. The novellas were a bigger highlight of the series then the series itself. It is too bad, I wish it could have been better. This entry was posted in Book Review and tagged Book Review, Drama, Fantasy, Horror, Kristin Cast, P.C. Cast, Romance. Bookmark the permalink.